In order to add an extra security to your home, it is a great option to install new locks. Fresh installation means adding additional security to an existing lock. This process involves making a hole in the door to the new lock, which can be decided in advance according to your need and request. We use the most advanced tools to make sure the new lock installation look as it is made by the door manufacturer. Our mobile locksmiths are available 24/7 in order to serve you in a timely manner. We are always happy to give you the best advice in terms of choosing the right lock for your security requirements. All of our services and products are covered by a 1-year guarantee. We can provide a lock installation, which in a professional language is called a fresh installation, to an internal door like a room, as well as to the main and back doors. We will ensure that we complete the job to your satisfaction and specifications. We also stand behind our service with a 1-year warranty. Our technicians work around the clock to help you with your lock issues. Our experts are highly-skilled and dedicated to ensure any new lock installation is made with absolute perfection. We provide the best assistance in installing, repairs, or lockouts of all door locks for residential purposes. 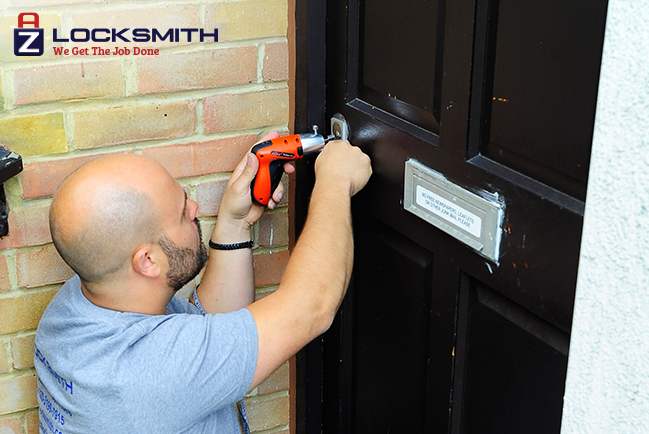 Our locksmiths keep customer security as their top priority and aim to execute the best security solutions for your house. Feel free to contact us anytime to do a fresh installation on your house door.